You will notice that as this website guides you from one place to another it mentions many place-names. And very often, as a brief aside, it will translate these place-names into English for no very obvious reason. Is it just idle curiosity? Is the web-master showing off? Let me put it this way: as you travel around Cowal, looking at early Christian stones on a remote hillside, or visiting modern church congregations in ancient buildings, or simply walking, cycling or driving through the open countryside, voices of the past are speaking to you. 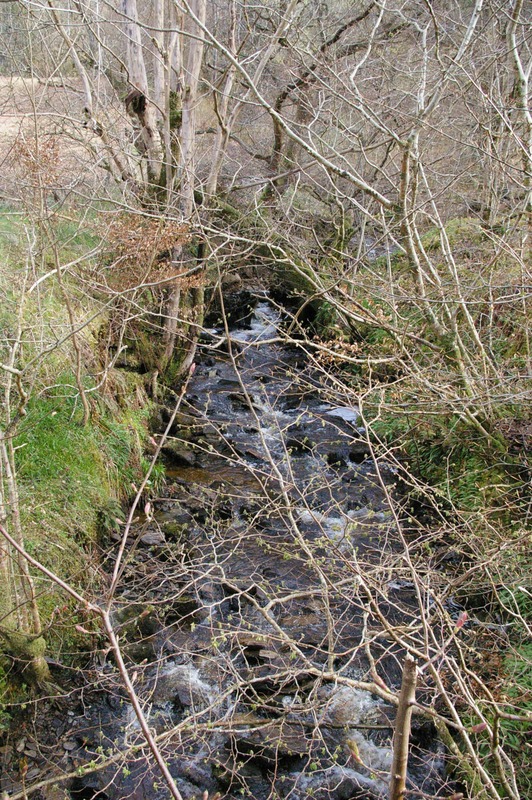 By the old farm of Garvalt, a burn flows swiftly over its rocky bed. 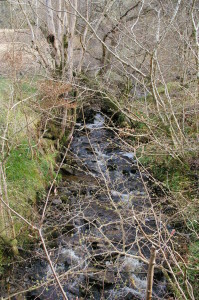 The name is Gaelic, garbh allt, ‘rough burn’. The place-names of Cowal are human utterance. They are fragments of speech that have survived into the present, taking root here through centuries of shared use. Remember that most written records from the Middle Ages were produced for privileged and powerful people. But place-names are different: most of them were created by ordinary people who were often illiterate and produced no other documents. They were coined in an oral tradition, and they reflect the intimacy of those people with the places they were naming – settlements, hills, fields, woods, rivers, rocks. These are the places they lived and worked, the places they loved and spoke about as their dwelling, the soil that nourished them, the burns they played in as children, the plants they used for food or medicine, the places where they prayed and where their parents and grandparents were buried. Most of the old place-names of Cowal are Gaelic names. The Gaelic language has disappeared from the area as the daily speech of the local community, partly as a result of deliberate policies by powerful people to erase it from our lives. But our predecessors are still speaking to us in that language through the place-names they left, and if we listen carefully we will hear the echoes of their lives and loves in this landscape. By occasionally reflecting on place-names the modern pilgrim might become alert to the language that the sons and daughters of Cowal learned in the past as they were growing up, the words they used to speak about and to see their world. Maybe if we listen, they will share with us the vision they had of the landscape which they loved and called ‘home’. And this is important. In his wonderful book Landmarks (2015) Robert Macfarlane has recently commented on the fact that the editors of the Oxford Junior Dictionary have excised many words that are no longer deemed useful to young children. They include: acorn, adder, beech, conker, lark, newt, otter, pasture, willow. And a number of new words have been added to take their place: blog, attachment, broadband, celebrity, MP3 player. Oxford University Press have explained this decision as the result of actual changes in children’s experience of language. When was the last time your child saw an otter? When was the last time he or she spoke about acorns? But maybe a dictionary should educate as well as provide a useful reference-work. Maybe it should inspire. If we no longer have words for acorns and oak-trees, we will cease to see them or look for them. If we cannot speak about them, how can we care for them? In Cowal our place-names do speak of the natural world around us and the people we share it with. Let’s get our children out into it and talk to them about it. Let us teach them the names of the trees. And let’s listen to the voices of the past who have their own stories to tell.